Chambers Global Practice Guides provide in-house counsel with expert legal commentary on the main practice areas in key jurisdictions around the world. The guides focus on the practical legal issues affecting business and enable the reader to compare legislation and procedure across a range of key jurisdictions. For every guide we select Contributing Editors who are ranked in the relevant Chambers Guides as the best in their field. The individual contributors who write the ‘Law and Practice’ and ‘Trends & Developments’ sections are selected on the same basis. The “Law & Practice” sections provides easily accesible information on navigating the legal system when conducting business in the jurisdiction. Leading lawyers explain local law and practice at key transactional stages and for crucial aspects of doing business. 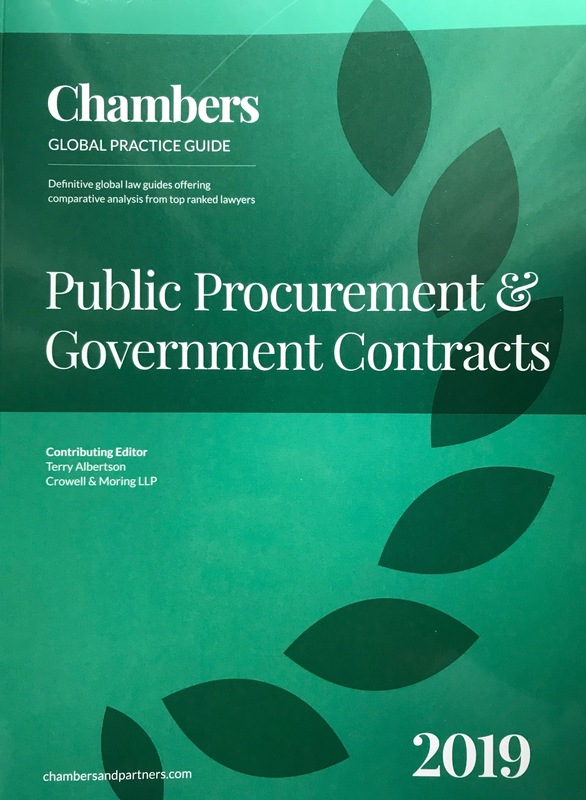 The Public Procurement and Government Contracts guide provides expert legal commentary on key issues for businesses. The guide covers the important developments in the most significant jurisdictions.